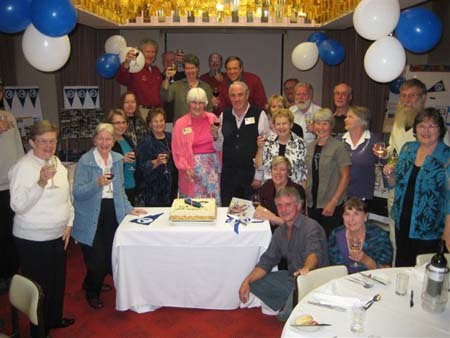 The Australian Canal Society (ACS) is a society of people with an enthusiasm for canals and other inland waterways around the world, particularly those of the UK and Europe. Many of our members cruise canals and inland waterways while overseas. They also read books on the subject and enjoy sharing their interest with other enthusiasts. The ACS was established to develop this interest in canals. 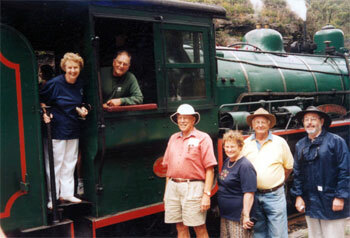 It offers very different experiences for Australians when they travel in other parts of the world. The ACS welcomes all who are curious, fascinated, addicted, or who just wish to reminisce or dream about waterways! The ACS was formed by fourteen canal enthusiasts who had enjoyed personal contact with British canals or who had an academic interest in them. They met for the first time in Dundas (sadly no aqueducts here! 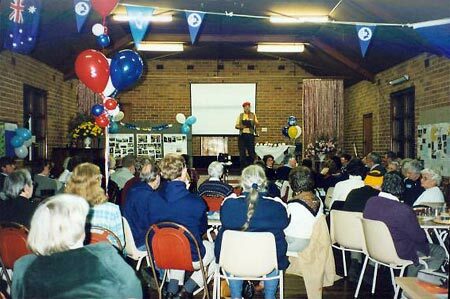 ), a north-western suburb of Sydney in May 1988. The fledgling group immediately outgrew a living room and has met quarterly ever since in a church hall nearby, with attendances between 50 and 70 each meeting. From a small beginning this very different canal society has developed in some unexpected and interesting ways. Members of our society and guest speakers share their experiences and expertise on widely varying aspects of canals in friendly, informal meetings. These meetings are carefully planned to provide varied and imaginative programmes designed to ensure enjoyment, learning and socialising with other enthusiasts. We organise occasional historic cruises, walks, picnics and appropriate site visits. We also initiate and maintain contact and support with overseas inland waterway bodies. 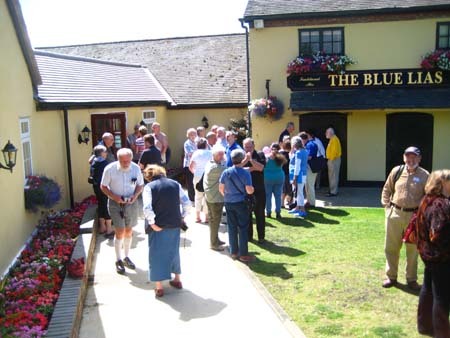 The Overseas Friends of the ACS gather every couple of years at an English canal-side pub. Although we are not a fund-raising body, periodically we make small financial contributions to British waterway restoration projects. We also collect postage stamps and donate them to the Shropshire Union Canal Society. Restoration Projects: It is somewhat odd for a canal society not to have a local canal to restore or maintain or to be a fund-raising body. Our main focus is outside Australia. We feel it is important to know about the struggles that have taken place in the past, and of current efforts on behalf of overseas waterways, all of which give us so much pleasure. 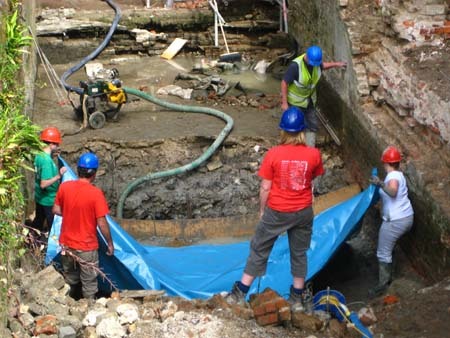 Hence our interest and involvement in restoration programs such as the Ipswich-Stowmarket Navigation, and the Lichfield and Hatherton projects in the UK. We have also been sponsors of the Anderton Lift and are members of the Foxton Inclined Plane Trust. From its beginning, the ACS has been an interested member of the IWA. We belong to its London Region and Middlesex Branch, with which we have strong contacts. Overseas Canal Links have become increasingly meaningful. When overseas people show interest in the ACS they are placed on a Friends List and given an ACS Link person, who keeps in contact by sending our quarterly Newsletters. Many friendships across the world have been formed in this way. Since 1996 regular Gatherings of British Members and Friends of the ACS have been held at canal-side pubs in Birmingham, Thrupp (Oxford Canal), and Stockton (Grand Union Canal). These have been highly successful events, with interested Friends coming from long distances, and some on their own boats. Overseas visitors are always very welcome at our ACS meetings.